The 6-from-59 game the world is going mad for! Like 6-from-59 style lottos like the UK National Lottery? Then here’s the game for you! Due to UK regulations, we cannot offer you a bet on the UK Lotto, so we take 6 numbers from the Swiss Loto Express instead to bring you UK Lotto Plus. Our exclusive UK Lotto Plus game gives you the SAME format as the UK Lotto draw on exactly the SAME days, but with a big difference – we’ll top up the jackpot with FIVE MILLION pounds sterling! Will you be the next millionaire? Grab a big win in the land of lotto hope and glory! We match the UK Lotto jackpot then boost it by additional £5m sterling, and the 2nd is prize always £1m sterling. Max out your winnings with more chances for millions! Just like the UK National Lottery Lotto, UK Lotto Plus has a draw every Wednesday and Saturday night, giving you two chances to win a huge jackpot. 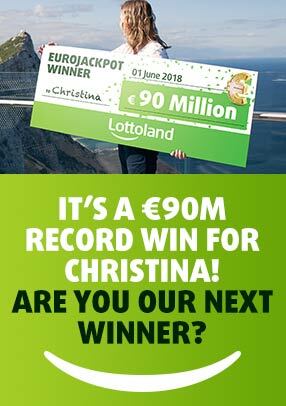 Don’t forget: as well as the £5m sterling boost, you can make those jackpots even higher by using Lottoland's exclusive DoubleJackpot feature.